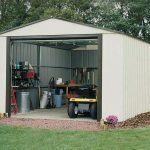 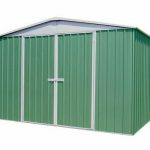 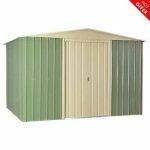 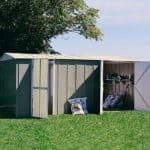 This metal garden shed benefits from an apex roof, which immediately gives you more headroom and more opportunity to store taller garden tools and equipment. 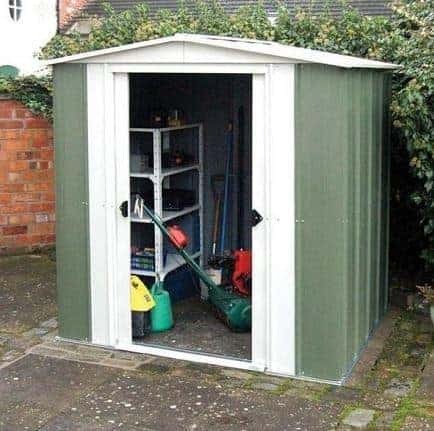 The building is generously proportioned anyway, with 8 x 6 in dimensions. 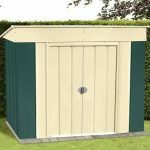 The shed has double lockable sliding doors, which is a key feature of the building and allows for full access. 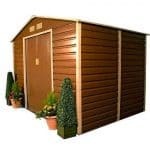 There is also full fire and rot resistance, with a 15 year warranty against rot, which allows for plenty of peace of mind.